As of 2017 there are 7.5 billion people in the world and many different cultures with their own unique set of beliefs and attitudes. How can we accurately list the top 10 personal development goals? Here we are passionate and dedicated to help you realise your personal development goals. 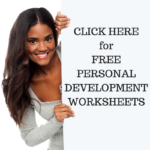 Download below the free personal development worksheet that will help you list your top 10 personal development goals. Personal development goals need to be as unique as you and I. If you were to copy someone else’s goals then you wouldn’t really be true to yourself. Hence, let’s look at a few questions to help you explore what YOUR PERSONAL TOP 10 PERSONAL DEVELOPMENT GOALS are. But first WHAT IS PERSONAL DEVELOPMENT? Personal development is when you reflect and contemplate on who you are, your strengths and weaknesses, personality traits and overall habitual patterns including your beliefs, thoughts, attitudes, feelings and emotions. Then, once you become more familiar with who are you in detail you choose what you want to improve and then put in place personal development techniques to steer your life in the direction you want it to go. I’m passionate about personal development and so have created a myriad of personal development worksheets and books for people (worksheets for adults) to download for free or for a minimal charge – so they can dive into self-help and self-improvement to empower themselves and live a life they love. Let’s get to your top 10 Personal Development Goals. The idea is to take an hour or two and contemplate and reflect on the questions. Write down your answer in as much detail as you can, and then write down more information as it comes to mind. Use a separate notebook for your answers if you need to. Sometimes people spend weeks on these self-help & self-improvement PERSONAL DEVELOPMENT WORKSHEETS as they put them aside for a few days and write down something when it pops into their head. It’s really good juicy stuff when that happens. 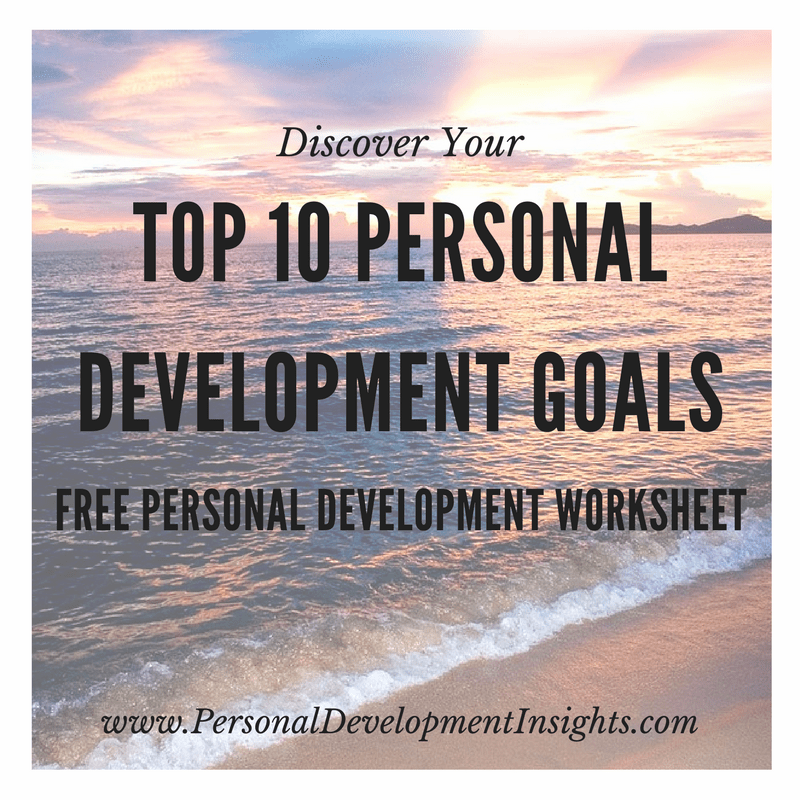 Download the FREE Personal Development worksheet to discover your TOP 10 PERSONAL DEVELOPMENT GOALS. This entry was posted in Free Personal Development Worksheets, Personal Development Resources, Self Improvement and tagged free personal development worksheets, personal development, self help, self improvement, worksheets, worksheets for adults. Bookmark the permalink. Previous Post: What’s in Your Personal Development Toolbox?